Again sorry for the long delay between postings. With Bernadette’s sickness combined with a friend of mine visiting from Bremerton, WA that fell and fractured his spine while here, I have been kind of busy. My friend spent 22 days in the hospital here. They were able to stabilize him enough for his flight back to the USA where he will have surgery. Bernadette’s condition has gone from bad to worse. She has been bed ridden now for four days. We are so fortunate to have gotten her feeding tube inserted too. Other than for a little water, her total intake is thru the tube. 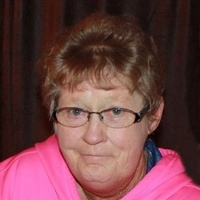 Barbara Lawrence, age 70 of Bottineau, died Tuesday, March 19, 2019 at her home near Bottineau. Her funeral will be held on Friday, March 22, 2019 at 2:00 pm at the First Lutheran Church in Bottineau. Visitation will be Thursday from 2:00 pm until 9:00 pm at the Nero Funeral Home in Bottineau. Barbara Lawrence, a daughter Nels and Gertie (Rispa) Landsverk, was born on March 15, 1949 in Bottineau. She was raised near Dunseith and graduated from Dunseith High School in 1967. She worked as a waitress in Dunseith and Bottineau. She was married to Duane Handeland. They had 2 children, Todd and Tracy. This marriage later ended. On July 25, 1980, she married Larry Lawrence at the First Lutheran Church in Bottineau. She then began her career as a rancher. Barbara enjoyed gardening, horseback riding, cooking, baking, playing cards and bingo, sewing ice fishing, playing horseshoes and most of all, spending time with her grandchildren. She is survived by her husband Larry of Bottineau; daughter, Tracy (Ben) Aufforth of Bottineau; son, Todd (Kris) Handeland of Bottineau; foster son, Jody Hoopman of Bottineau; 5 grandchildren; 4 great-grandchildren; sister, Sharon Beckman of Bottineau; brother, David Landsverk of Bottineau; and numerous nieces and nephews. In addition to her parents, she was preceded in death by a sister, Evelyn Pladson; brothers, Elwood, Bruce, Virgil, Darrel, Arlen, Roger, Kenneth and Leland; niece, Elizabeth Landsverk; and nephews, Virgil (Little V) Landsverk. He did work at Dunseith….at the Peace Garden CCC camp in 1939. Note: Not the DHS Supt. 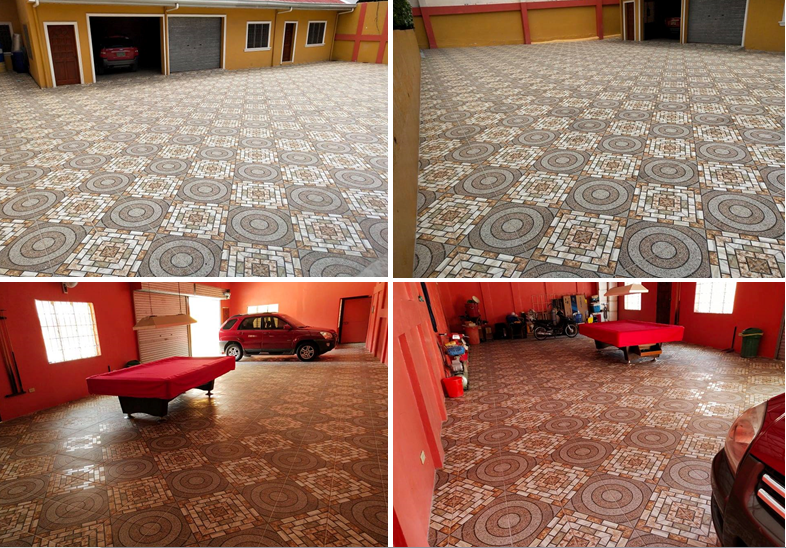 I was tired of the black dirty fungus that continually kept coming back in our drive way and outside parking area, so I had it all tiled. While I was at it I include the garage too. It’ll be a lot easier to keep clean too. Our garage is 24’ X 60’. My pool table doesn’t get much use but it’s nice to have. This is a garage area for the accumulation of and storage of stuff too. It is St. Patricks Day and i recall mom and her homemade cured corned beef. She and dad were newlyweds in 1947 living close to Woodland Park in Seattle. Dad was a Plasterer Apprentice and mom a homemaker. WORK ETHIC was the only inheritance received from their respective families. Together they forged a solid marriage and a combined DREAM. They dreamt of a saving for a little farm back in the Turtle Mountains. Mom and dad were quite frugal…they were known as “penny pinchers.” They never ate out. Mom made a home, baked loaves of bread and made 3 meals a day…… meals from scratch. She got up early, packed Dads lunch and filled a thermos with coffee for his work each morning. Mom grocery shopped, once a week at local neighborhood shops And, Mom made a friend, of the kindly elderly neighborhood butcher. She told me she would go in and peruse the cheapest cuts of meat. And, the butcher gave her tips on preparation. He somehow figured out; with her dark widows peak hair and brown eyes, she was of Irish heritage. He told her she needed to learn how to make an Irish dish. He told her how to cure meat. Through the years; as kids sometime along in February, we would arrive home via a long ride inthe school bus to mom packing a brisket into a crock. She then poured over the beef; a solution of a handful of this, a handful of that, an extra big pinch of pickling spices and cover with fresh cold well water and a round stone. She’d carry the crock down and put to it rest in the cool root cellar. AHH….Come close to mid March, we would come home to a toasty warm house. My nose would twitch appreciatively to the smells of succulent Corned beef, Cabbage, and boiling home grown potatoes. After milking and chores and Dad home, we ate together the filling supper. Oh, yah. Along with the corned beef Mom always remembered to serve a fresh container of horse radish……….I ate Corned Beef yesterday! Once again my inquiring mind got a move on today. …. Curiosity usually happens, whenever I read BBC or Canadian news. Attached is a current BBC article about gypsies in France. Does anyone recall hearing tales/stories of gypsies traveling through Dunseith or a caravan camping in the area years ago? Today someone told me …. ” 21 days straight of below zero at the foot of the Turtles.” For two months, I frequently thought of Laura Ingalls Wilder’s, “The Long Winter” . And was happy I didn’t need to wander the prairie to find a grain bin and coffee grinder to grind wheat. I am so looking forward to enjoying the end of … long winter. I seem to have a bit of spring fever as I am bouncing around topic. So I must say, Thank you Gary and HAPPY SPRING everyone! A friend of mine that lives in the Turtle Mountains, North Dakota wrote and complained that his dog has been dragging snow snakes up onto the front step of his house and that they scare the hell out of his wife when she goes out in the morning on her way to work. I guess with the big snow melt the snow snakes are becoming isolated in the remaining piles of snow and aren’t able to escape the pesky little dog. Apparently the snow melt happened so fast that it surprised the critters and they weren’t able to crawl into their holes and hibernate for the summer, or maybe like us they thought we were going into a climate of winter year round? The friend in the hills says that he knows the snow snakes were surprised as they had that surprised look on their little faces. Thanks for letting me know and reminding me about the snow snakes. What do you do about the little puddles that they have a tendency to leave behind on your step, or if you let the dog drag them into the house they could leave a snow snake stain on your flooring? They are some disgusting critters if you don’t handle them right. Received a message today from friends living in Fergus Falls, MN. They are complaining about all the snow that they have piled up everywhere from this winter. 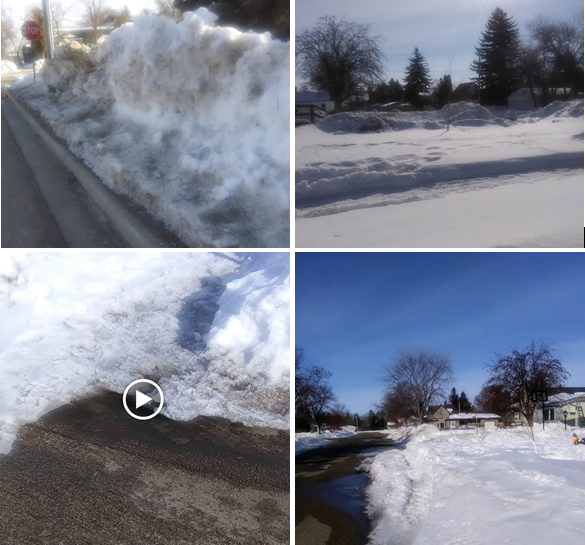 Now after shoveling and working hard to keep the sidewalks and driveway cleared of snow and continuously having to worry about where they are going to pile the next snow that falls??? Now “believe it or not” they have had to worry about snow snakes!!!! Yes, are friends wrote that they have had the unpleasant situation of dealing with these critters. Apparently them there snow snakes must have migrated down from Butte St. Paul, Turtle Mountains, ND over into Minnesota. This could be good for the people living in the Turtle Mountains and bad for the people living in Minnesota. They didn’t ask me what they could do about this situation but I suggested that they drink lots of Schnapps, as it will keep you warm and kill the infection if you happen to get bit by a snow snake. There may be people that live in the Turtle Mountains or that did live in the Turtle Mountains that may know of a better solution to this problem? I know most Norwegians never have to worry about getting infection anyway but maybe you have a suggestion for these folks??? From Tom Hagen (51): Mesa, AZ & Williston, ND. Excerpt from a personal message. I’m headed to Overy ND on the 22nd. My cousin (Carol Sletto Johnson) came up to Bozeman to help out her daughter that had some surgery (she doesn’t dare drive so far – uffda). Anyway her husband drove her up here and I’ll drive her back! I like an excuse to go home to ND and see the cousins etc. It was while I was staying with Carol that I met Bev Azure at her shop while Carol saw the PA there at the clinic! Reply from Sybil Johnson: Cheyenne, WY.